This year’s first rebloom report comes from Kris Jurik. 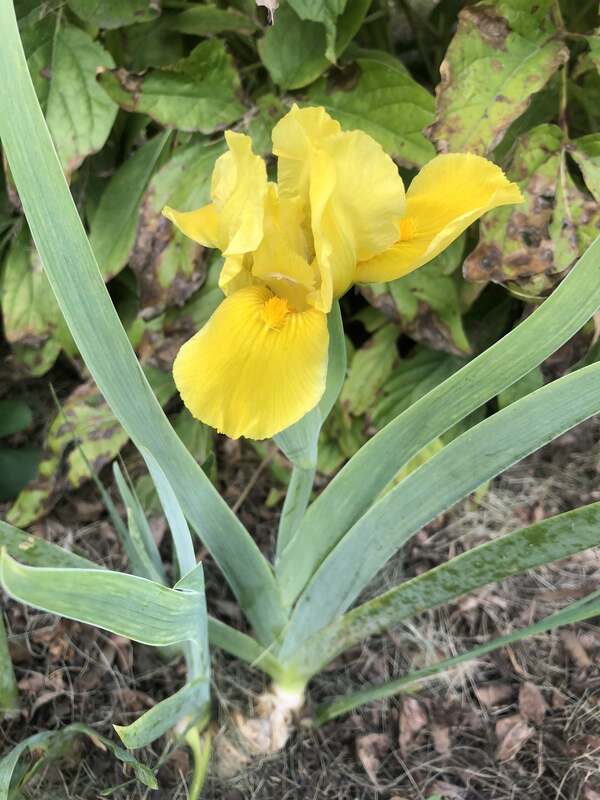 She sent this photo of ‘Ray Jones’ blooming in her garden on September 13, 2018. A SDB by Donald Spoon (2011); you can learn more (and see more photos) from its Iris Encyclopedia entry. Thank you Kris! At the same time, Kris has bloomstalks developed on ‘Again And Again’ (Innerest, 1999). Do you have irises reblooming in your garden? Please let me know so we can get them on the Region 21 website and submit the observations to the Reblooming Iris Society. And if you have reblooms in other gardens to report, public or private, please include them. Contact: wrmesser@gmail.com Thank you for your help! This entry was posted in Bloom Time and tagged bloom time, reblooming by wrmesser. Bookmark the permalink.